A strain of hepatitis E that has only ever been seen in rats and other animals has been discovered in a 56 year old man. The man, a Hong Kong resident, was being treated for abnormal liver function after undergoing a liver transplant. It became apparent to doctors that he was suffering from some form of hepatitis; however, the strain seemed highly divergent from other known versions. Hepatitis is a virus that attacks and inflames the liver. It can affect humans in several different forms, the most common of which is hepatitis C. Roughly 2% of the US is living with some form of hepatitis. However, the version of hepatitis E that the man contracted was extremely abnormal, piquing the interest of scientists at the University of Hong Kong. They announced on September 28th, 2018, that the virus was a strain commonly found in rats, but never seen before in humans. “We don’t know if in future there will be a serious outbreak of the rat hepatitis E virus in Hong Kong,” said Yuen Kwok-yung, a professor at the University. He added that the situation would need to be seriously monitored. 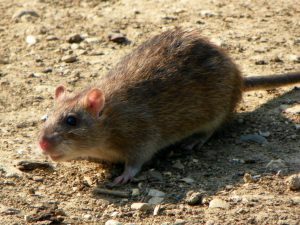 Scientists theorize that the man lived in an area infested with rats, suggesting that the virus was contracted through contaminated food , possibly from rat droppings. This is hardly the first time that rats have caused illness to spread to humans. Diseases such as lassa fever and leptospirosis were first introduced by rodents, and the infamous black plague was responsible for the death of a third of Europe’s population in the fourteenth century. CBS reports that the man has been treated and is making a full recovery. But questions still remain: how did this virus become able to infect the human species, and how many others will it affect? Information for this article was taken from CBS, CNN, and the Daily Star.